My best Exp of Life!! The management was good they be fooled us by charging for the Air Condition in the beginning but didn't provide us the facility for the complete year but after a push they have provided us all those facilities. B.S. 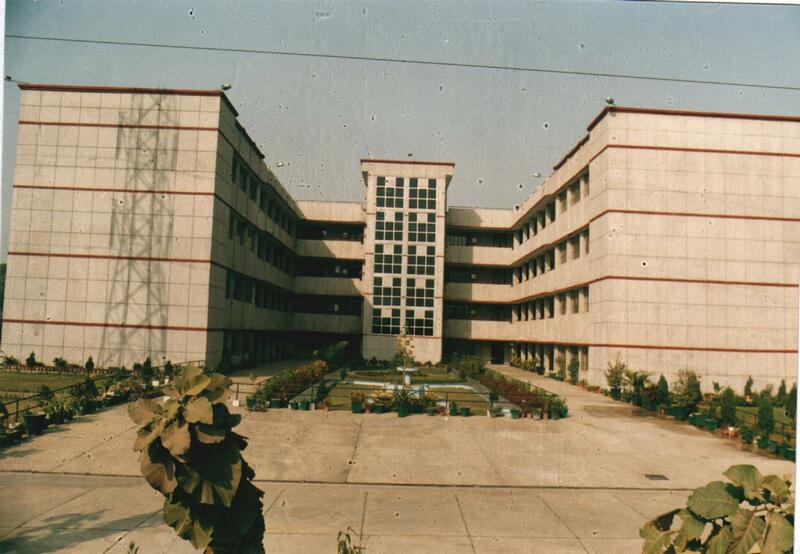 Anangpuria Institute of technology and management is one of the premier educational Institutes of Haryana established in the year 2001-02. The Institute is readily responsive to all the challenges in the education.I like to study there because crowd come here is modernised and worst thing about it was rules and regulations and strict. My college won"t dissappoint in terms of education, sincerity and discipline at such minimal amount of fees with good services, faculty and infrastructure, i would Better option in faridabad. College is so discipilined, Any student can't leave college before 5pm, without any specific reason. One of the leading institutes of Haryana, Bhawani Shanker Anangpuria Institute of Technology and Management also known as B. S. Anangpuria Institute of Technology or B.S.A.I.T.M. was established in the year 2001. The educational establishment is a part of B. S. Anangpuria Educational Institutes and is managed by the Bhawani Shanker Anangpuria Charitable Trust. Bachelor in Technology (B.Tech) in Computer Science & Engineering, Mechanical Engineering, Information Technology, Civil Engineering, Architecture & Interior Decoration and Electronics & Communication Engineering. Master of Technology (M.Tech) in VLSI Design & Embedded Systems, Computer Science & Engineering, Thermal Engineering and Electronics & Communications Engineering. The institute has a well-stocked fully air conditioned library which spreads over an area of 8600 square feet. The library has a collection of over 43,252 books which includes books on Engineering, Business Management, and Science & Technology. Through the DELNET Consortium students can have access to a number of journals both foreign and national. The institute’s library provides the facility of Online Public Access (OPAC) through ERP. It also has a reading room with a seating capacity of 200. The Institute provides round the clock medical facilities in case of consultations and emergencies. The institute has a health care center in the campus which has a full time medical officer and Para medical staff. Computer lab having system equipped with latest hardware and software configurations. Scholarship: B. S. Anangpuria Educational Institutes provides tuition fee waiver (TFW) to the students from the weaker sections of the society. I took AIEEE my friends suggest me. "Good college for education & discipline in faridabad"
I had given LEET exam for the enterance as i was diploma passout in 2011, I scored around 6802 in ranks at haryana level. I had opted this college because of his fine level of education and discipline. I had cleared 12th board with 81% marks then i appears for AIEEE and my rank is not good and at last stage i had taken admission where i get .